An exclusive colonial-style safari lodge perfectly located in South Africa’s Greater Kruger National Park, Royal Malewane boasts its own private waterhole where giraffes come to drink. Set within the Thornybush Private Game Reserve, Royal Malewane offers the ultimate in safari luxury along with total privacy, personalised service and sensational game viewing. The classic safari experience at Royal Malewane is unsurpassed with one of the most qualified guiding teams in Africa. From expert rangers and trackers to specialist photographic safaris, at Royal Malewane nature is paramount. With over 130 mammal species and over 300 bird species, Royal Malewane delivers an unrivalled wildlife experience. Game drives at Royal Malewane depart at dawn and dusk and form the basic rhythm of the day. These are tailored to suit guests’ interests; whether it’s tracking a favourite animal or discovering the birds, flowers or trees that guests love the most. The Thornybush Private Game Reserve has spectacular scenery, with abundant wildlife to match. 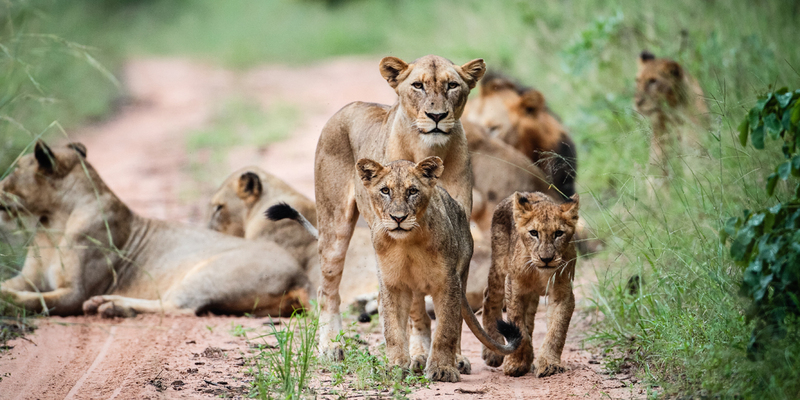 From the thickly wooded areas which are home to elephants, rhinos and buffalo, to the plains favoured by giraffes, wildebeests, impala, zebras and lions; guests would be unlucky not to spot the Big Five: lions, leopards, elephants, buffalo and black rhino. All the game rangers at Royal Malewane hold the highest FGASA qualifications as well as advanced rifle handling certificates. These qualifications ensure Royal Malewane guests an exceptional, yet safe game experience – not only while on game drive, but also on foot. Exploring the bush on foot with an expert guide allows guests to engage with the landscape even more intimately, and to learn about the vegetation, eco-systems, insect and bird life. Royal Malewane is the ideal safari destination for amateur and professional birders alike. The guiding team will tailor the birding experience accordingly depending on level of interest and experience. Photography is a passion for all the game rangers at Royal Malewane. The rangers understand the joy of capturing nature’s splendid beauty in a photograph and are always happy to share their knowledge of wildlife photography with guests, no matter what their skill level. In addition to daily game drives and bush walks, the Royal Malewane can arrange golfing excursions to an 18-hole course at Hans Meretsky Golf Estate, horseback safaris, visits to local rehabilitation and community projects, hot air ballooning and helicopter tours. After a busy day out in the bush, the award winning Spa at Royal Malewane offers guests time to refresh and restore mind, body and spirit amid the serenity and peace of the bush. Facilities at the safari spa are comprehensive and include a fully-equipped gym, a heated lap pool, steam room, hot and cold African baths and private casitas for relaxation or treatments. Royal Malewane offers intimate and luxurious accommodation with just six Luxury one bedroom suites, two Royal Suites and Africa House - an exclusive-use bush villa with six bedrooms. Luxuriously appointed and fully air-conditioned, the suites provide an elegant colonial-style refuge in the heart of the bush. Decorated in impeccable style, each suite features a fireplace, antique furniture, a canopied four-poster bed, flat-screen televisions and a large bathroom with freestanding tub, and indoor and outdoor showers. The Royal Suites are some of the largest in African safari lodges and each accommodate four guests in two en-suite bedrooms. These ultra-luxurious private hideaways include a personal chef, butler, lounge and dining facilities, sole-use game vehicle and masseur. Guests can relax on the deck admiring the unparalleled views or cool down in the private rim-flow pool. Accommodation at the beautiful Africa House is spacious and elegant with vibrantly eclectic furnishings. Light floods into the six air-conditioned, en-suite bedrooms, each of which enjoy a private outside shower and deck with spectacular views of the bush. Antique furniture, carved four-poster beds from Mombasa, plush silk furnishings and Persian rugs create an exotic and luxurious feel. Elegant walkways lead to the main area at the heart of Royal Malewane where there are plenty of inviting open-air lounge and dining areas below vaulted thatched roofs. Decorated with English furnishings, Persian rugs and African artefacts, they remain in keeping with the colonial feel. Within the main complex Royal Malewane guests will also find the library and a gift shop.